The Paisley Pumpkin Events – The best Arizona vendor events! Like our Facebook page to be the first to know when vendor applications will be available for download on our website. You can LIKE our Facebook page to find out when applications are available. ***We go with first come, first served for each franchise/direct sales company. If there is a tie (i.e. we get multiple applications the same day from representatives from the same company), we go with the highest sponsorship level first, then the vendor that has most recently done business with us. If it is still a tie, we use a random picking program online to pick the vendor that gets to participate. And hold others as back-ups. 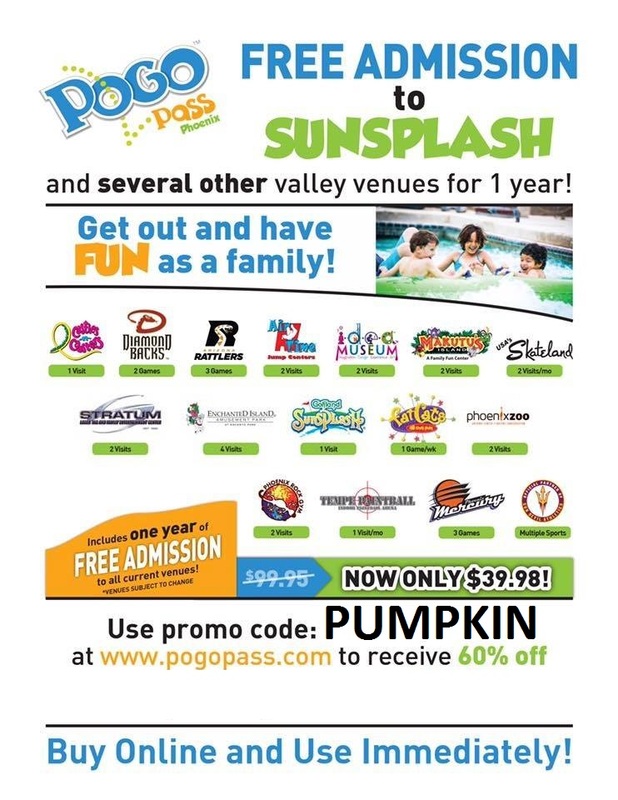 Our Vendors and Customers can now get Pogo Passes for 60% off!!! Click the image below and use the promo code PUMPKIN to get your discount! Attn Vendors- here is your link to receive a discount on Fiitfu (Fortune is in the follow up) Make the most out of your event leads!